In this course, you will learn computational combustion using Python and Cantera. You will understanding how combustion is simulated and write computer programs to simulate chemical kinetics. You will be learning how to computed combustion metrics such as Flame Speed and Ignition delay by performing detailed calculations. You will complete 2 projects in this course. 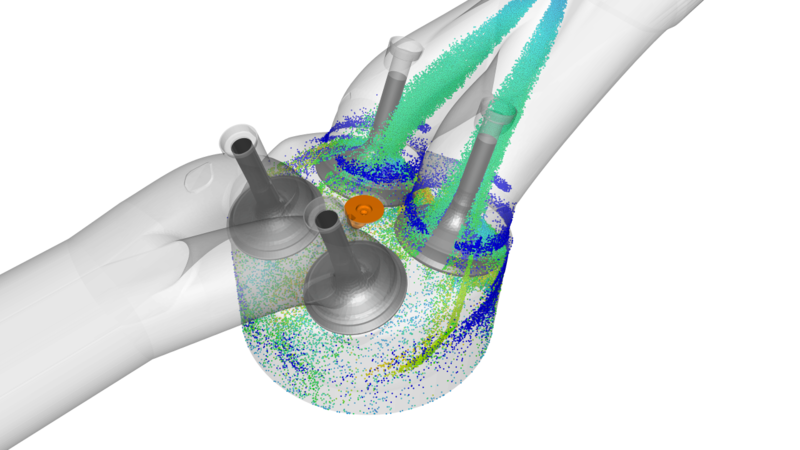 In this course, you will learn how to perform 3D flow and combustion simulations using CONVERGE CFD software. 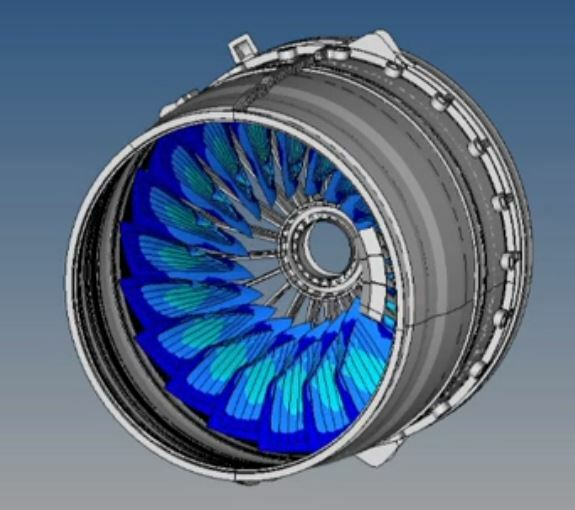 You will be learning about the backend of the software, including things like Turbulence Modelling, Combustion Modelling and Emissions Modelling. This course is ideal for someone who wants to get into Combustion Analysis. You will complete 3 projects in this course. In this project, you will be solving a STIFF ODE system from scratch. This helps you understand how reacting systems are solved. 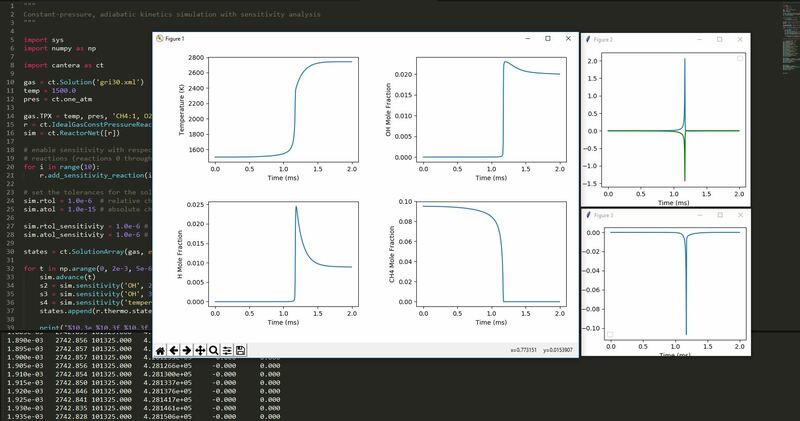 In this project, you will be writing code to reduce the number of reactions in given mechanism by performing sensitivity analysis. The objective here is to simulate flow past a throttle body under steady state and transient conditions. 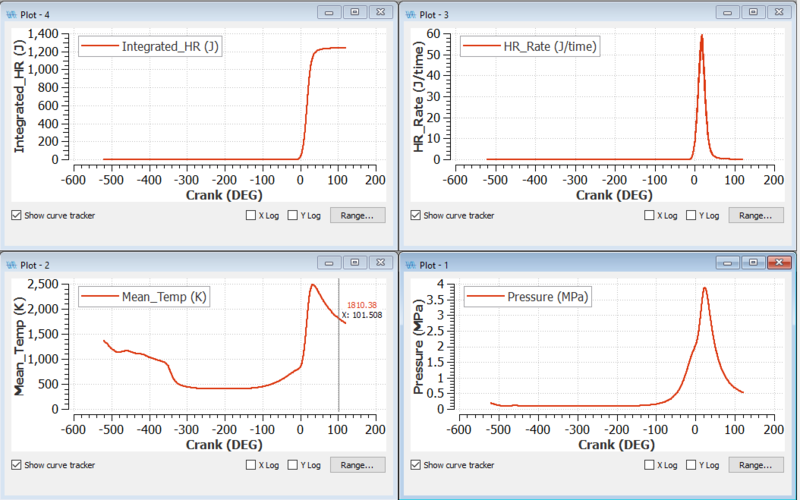 Your task is to study the effect of the valve dynamics on key flow quantities. 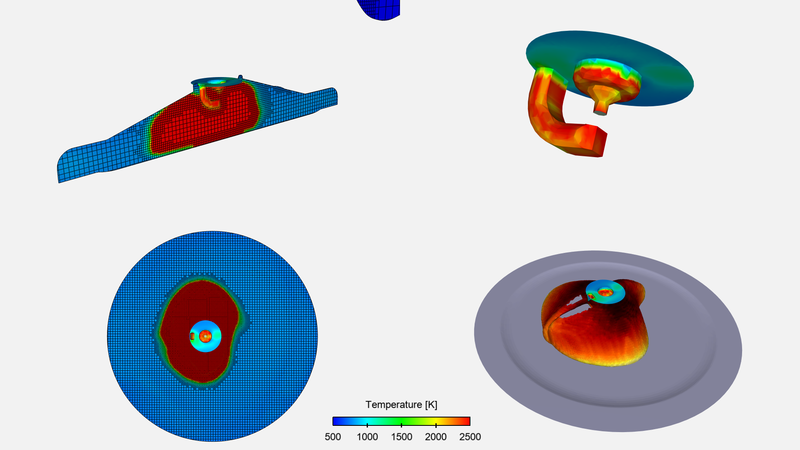 In this project, you will run closed cycle simulations of the CAT3410 engine using two different piston bowls. You will be looking at the effect of piston bowl shape on the final solution. You will also focus on analyzing the data obtained from your simulation using line plots. You can find an example below. Last but not least, there is a reason why CFD is called colorful fluid dynamics. Here are some visualizations that beautifully convey the complexities of the various physical phenomena that you can expect in an I.C Engine. We offer 6 modes of support through which you can contact the instructor and the support engineers to clear your doubts & questions. Every week, there will be 3 suport sessions where you can interact one-on-one with the instructor to clear your doubts. You will be in a WhatsApp Group along with the course instructor & support engineers where you can post your questions. We have a very vibrant course forum where you can find the answers to the most of your doubts. You can also send us your questions through mail where a ticket will be created and your questions will be answered shortly within few hours. You can connect to us anytime with our all-time chat support. You can explain your doubts. We will help you right away through call or live session.